"Ohare" redirects here. For people with that name, see O'Hare (surname). "ORD" redirects here. For other items pertaining to "Ord", see Ord (disambiguation). O'Hare International Airport (IATA: ORD, ICAO: KORD, FAA LID: ORD), typically referred to as O'Hare Airport, Chicago O'Hare, or simply O'Hare, is an international airport located on the far Northwest Side of Chicago, Illinois, 14 miles (23 km) northwest of the Loop business district, operated by the Chicago Department of Aviation and covering 7,627 acres (3,087 ha). O'Hare has non-stop flights to 228 destinations in North America, South America, Europe, Africa, Asia and Oceania. Established to be the successor to Chicago’s "busiest square mile in the world", Midway Airport, O'Hare began as an airfield serving a Douglas manufacturing plant for C-54 military transports during World War II. It was named for Edward "Butch" O'Hare, the U.S. Navy's first Medal of Honor recipient during that war. Later, at the height of the Cold War, O'Hare served as an active fighter base for the Air Force. As the first major airport planned post-war, O’Hare's innovative design pioneered concepts such as concourses, direct highway access to the terminal, jet bridges, and underground refueling systems. It became famous as the first World’s Busiest Airport of the jet age, holding that distinction from 1963 to 1998; today, it is the world's sixth-busiest airport, serving 83 million passengers in 2018. O'Hare is unusual in that it serves a major hub for more than one of the three U.S. mainline carriers; it is United's largest hub in both passengers and flights, while it is American's third-largest hub. It is also a focus city for Frontier Airlines and Spirit Airlines. While Terminals 2 and 3 remain of the original design, the airport has been engaged in a massive modernization of the airfield, and is beginning an expansion of passenger facilities that will remake it as North America’s first airport built around airline alliances. Not long after the opening of Midway Airport in 1926, the City of Chicago realized that additional airport capacity would be needed in the future. The city government investigated various potential airport sites during the 1930s, but made little progress prior to America's entry into World War II. O'Hare's place in aviation began with a manufacturing plant for Douglas C-54s during WWII. The site was then known as Orchard Place, and had previously been a small German farming community. The 2,000,000 square feet (190,000 m2) plant, located in the northeast corner of what is now the airport property, needed easy access to the workforce of the nation's second-largest city, as well as its extensive railroad infrastructure and location far from enemy threat. Some 655 C-54s were built at the plant. The attached airfield, from which the completed planes were flown out, was known simply as Douglas Airport; initially, it had four 5,500-foot (1,700 m) runways. Less known is the fact that it was the location of the Army Air Force’s 803rd Specialized Depot, a unit charged with storing many captured enemy aircraft. A few representatives of this collection would eventually be transferred to the Smithsonian Institution's National Air and Space Museum. Douglas Company's contract ended in 1945 and, though consideration was given to building commercial aircraft at Orchard, the company ultimately chose to concentrate commercial production at its original headquarters in Santa Monica, CA. With the departure of Douglas, the complex took the name of Orchard Field Airport, and was assigned the IATA code ORD. The United States Air Force used the field extensively during the Korean War, at which time there was still no scheduled commercial service at the airport. 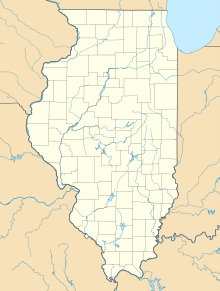 Although not its primary base in the area, the Air Force used O'Hare as an active fighter base; it was home to the 62nd Fighter-Interceptor Squadron flying F-86 Sabres from 1950 to 1959. By 1960, the need for O'Hare as an active duty fighter base was diminishing, just as commercial business was picking up at the airport. The Air Force removed active-duty units from O'Hare and turned the station over to Continental Air Command, enabling them to base reserve and Air National Guard units there. As a result of a 1993 agreement between the City and the Department of Defense, the reserve based was closed on April 1, 1997, ending its career as the home of the 928th Airlift Wing. At that time, the 357 acre (144 ha) site came under the ownership of the Chicago Department of Aviation. In 1945, Chicago mayor Edward Kelly established a formal board to choose the site of a new facility to meet future aviation demands. After considering various proposals, the board decided upon the Orchard Field site, and acquired most of the federal government property in March 1946. The military retained a relatively small parcel of property on the site, and the rights to use 25% of the airfield's operating capacity for free. Ralph H. Burke devised an airport master plan based on the pioneering idea of what he called "split finger terminals", allowing a terminal building to be attached to "airline wings" (concourses), each providing space for gates and planes. (Pre-war airport designs had favored ever-larger single terminals, exemplified by Berlin's Tempelhof.) Other innovations Burke brought to the O'Hare design included underground refueling, direct highway access to the front of terminals, and direct rail access, all of which are utilized at airports worldwide today. O'Hare was the site of the world's first jet bridge in 1958, and successfully adapted slip form paving, developed for the nation's new Interstate highway system, for seamless concrete runways. In 1949, the City renamed the facility O'Hare Field to honor Edward "Butch" O'Hare, the U.S. Navy's first flying ace and Medal of Honor recipient in World War II. Its IATA code (ORD) remained unchanged, however, resulting in O'Hare's being one of the few IATA codes bearing no connection to the airport's name or metropolitan area. Scheduled passenger service began in 1955, but growth was slow at first. Although Chicago had invested over $25 million in O'Hare, Midway remained the world's busiest airport and airlines were reluctant to move until highway access and other improvements were completed. The April 1957 Official Airline Guide listed 36 weekday departures from the airport, while Midway coped with 414. Improvements began to attract the airlines: O'Hare's first dedicated international terminal opened in August 1958, and by April 1959 the airport had expanded to 7,200 acres (2,900 ha) with new hangars, terminals, parking and other facilities. The expressway link to downtown Chicago, now known as the Kennedy Expressway, was completed in 1960. And new Terminals 2 and 3, designed by C. F. Murphy and Associates, opened on January 1, 1962. However, the biggest factor driving the airlines to O'Hare from Midway was the emergence of commercial jet transports; one-square-mile Midway did not have the space for the lengthy runways the new planes required. While airlines had initially been reluctant to move to O'Hare, they were equally unwilling to split operations between the two airports: in July 1962 the last fixed-wing scheduled airline flight in Chicago moved from Midway to O'Hare. The arrival of Midway's traffic quickly made O'Hare the world's busiest airport, serving 10 million passengers annually. Within two years that number would double, with Chicagoans proudly boasting that more people passed through O'Hare in 12 months than Ellis Island had processed in its entire existence. 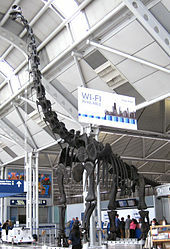 O'Hare remained the world's busiest airport until 1998. In the 1980s, after passage of US airline deregulation, the first major change at O'Hare occurred when TWA decamped Chicago for St. Louis as its main mid-continent hub. Although TWA had a large hangar complex at O'Hare and had initiated non-stop service to Europe from Chicago using 707s in 1958, by the time of deregulation its operation was losing $25 million a year under intense competition from United and American. Northwest likewise ceded O'Hare to the competition and shifted to a Minneapolis and Detroit-centered network by the early 1990s following its acquisition of Republic Airlines in 1986. Delta maintained a Chicago hub for some time, even commissioning a new Concourse L in 1983. Ultimately, Delta found competing from an inferior position at O'Hare too expensive and closed its Chicago hub in the 1990s, concentrating its upper Midwest operations at Cincinnati. The dominant hubs established at O'Hare in the 1980s by United and American continue to operate today. United developed a new two-concourse Terminal 1 (dubbed "The Terminal for Tomorrow"), designed by Helmut Jahn. It was built between 1985 and 1987 on the site of the original Terminal 1; the structure, which includes 50 gates, is best known for its curved glass forms and the connecting underground passage between Concourses B and C. American renovated and expanded its existing facilities in Terminal 3 from 1987 to 1990; these renovations feature a flag-lined entrance hall to Concourses H/K. The demolition of the original Terminal 1 in 1984 to make way for Jahn's design forced a "temporary" relocation of international flights into facilities called "Terminal 4" on the ground floor of the airport's central parking garage. International passengers were then bused to and from their aircraft. Relocation finally ended with the completion of the 21-gate International Terminal in 1993 (now called Terminal 5); it contains all customs facilities. Its location, on the site of the original cargo area and east of the terminal core, necessitated the construction of the Airport Transit System people-mover, which connected the terminal core with the new terminal as well as remote rental and parking lots. The large consolidating mergers in the airline industry from 2008-2014 left O'Hare's domestic operations simplified: the airport found itself primarily with United mainline in Terminal 1, United Express, Air Canada, and Delta in Terminal 2, and American and smaller carriers in Terminal 3. O'Hare's high volume and crowded schedule, along with the vagaries of weather in the upper Midwest, frequently led to major delays; its hub status meant delays could affect airlines system-wide, causing issues for air travel across North America. Official reports at the end of the 1990s ranked O'Hare as one of the worst performing airports in the United States based on the percentage of delayed flights. The situation was exacerbated by a practice known as banking, in which regional and mainline flights arrive within several narrow windows during each day (facilitating quick transfers but creating temporary congestion); the situation illustrated the bitter competition between United and American, who combined for 86% of all operations but refused to cooperate to ease the situation. In 2004, facing the imposition of flight limits at O'Hare by the FAA, United and American agreed to modify their flight schedules to help reduce congestion caused by clustered arrivals and departures, mainly by adjusting the schedules of their regional carriers. While reducing the practice of banking helped, the reality was that the airfield had remained unchanged since the addition of its last new runway (4R/22L) in 1971. O'Hare's three pairs of angled runways were meant to allow takeoffs into the wind, but they came at a cost: the various intersecting runways were both dangerous and inefficient. In 2001, the Chicago Department of Aviation committed to a O'Hare Modernization Plan (OMP). Initially estimated at $6.6 billion, the OMP was to be paid by bonds issued against the increase in the passenger facility charge enacted that year as well as federal airport improvement funds. The modernization plan was approved by the FAA in October 2005 and involved a complete reconfiguration of the airfield. The OMP included the construction of four new runways, the lengthening of two existing runways, and the decommissioning of three old runways to provide O'Hare with six parallel runways and two crosswind runways. This was a complete redesign of Burke's basic airfield structure; O'Hare had effectively functioned in a circular manner, with the terminal complex in the center and runways around it. Now, O'Hare would be organized into three sections, north to south: the north airfield, containing three east-west runways, one crosswind runway, and a new cargo area; the terminal complex and ground transportation access in the center; and the south airfield, again containing three east-west runways, a crosswind runway, and a large cargo area. Construction of the two new airfield layouts and the new cargo area, while the space-constrained airport continued full operations, presented significant time and capacity challenges. The north airfield gained runway 9L/27R in 2008, while the south airfield saw the opening of runway 10C/28C in 2013 and runway 10R/28L in 2015. The OMP was the subject of lengthy legal battles, both with suburbs who feared the new layout's noise implications as well as survivors of persons interred in a cemetery the city proposed to relocate; some of the cases were not resolved until 2011. These, plus the reduction in traffic as a result of the 2008 financial crisis, delayed the OMP's completion; construction of the sixth and final parallel runway (9C/27C) began in 2017. Its completion in 2020, along with an extension of runway 9R/27L to be completed in 2021, will conclude the OMP. Although construction continues, peak capacity (number of operations/hour) has already increased by 50% and total (all weather) system delays reduced by 57%; after completion of the first two phases of the OMP, on-time arrivals improved from 67.6% to 80.8%. By 2017, O'Hare ranked 14th in on-time performance of the top 30 U.S. airports. Costs of the O'Hare Modernization Plan had risen, by 2015, beyond $8 billion. In 2018, the city and airlines signed a definitive agreement to phase I of a new Terminal Area Plan dubbed ORD21. It marks the first comprehensive redevelopment and expansion of the terminal core in O'Hare's history. The improvements are intended to enable same-terminal transfers between international and domestic flights, enable faster connections, improve facilities and technology for TSA and customs inspections, and modernize and expand landside amenities. A principal feature of the plan is the reorganization of the terminal core into an "alliance hub", the first in North America; airside connections and layout will be optimized around airline alliances. This will be made possible by the construction of the O’Hare Global Terminal where Terminal 2 currently stands. The Global Terminal and two new satellite concourses will allow for expansion for both American's and United's international operations as well as easy interchange with their respective Oneworld (American) and Star Alliance (United) partner carriers, eliminating the need to exit the secured airside, ride the ATS, and re-clear security at Terminal 5. Under the reconfiguration, United and its Star Alliance partners will utilize Terminal 1 and the Global Terminal, American and its Oneworld partners will use the Global Terminal and Terminal 3, while Delta and its SkyTeam partners, as well as non-affiliated carriers, will relocate to Terminal 5. The plan is set to add over 3,000,000 square feet (280,000 m2) to the airport's terminals, a new customs processing center in the Global Terminal, 25% more ramp space at gates to accommodate larger aircraft, reconstruction of gates and concourses (new concourses will be a minimum of 120 feet (37 m) wide), and increase the gate count from 185 to 235. Since construction of the Global Terminal cannot interfere with ongoing operations at the airport, it is scheduled to take place in stages, with the first step (scheduled to begin 2019) being to dig the tunnel that will connect the terminal core with two new satellite concourses. Demolition of Terminal 2 and the subsequent construction of the Global Terminal can only proceed after the completion of the two new satellite concourses, which will provide the gates lost by the demolition of Terminal 2. By terms of the agreement, total costs of $8.5 billion for ORD21 are to be borne by bonds issued by the City, which will be retired by airport usage fees paid by the airlines. ORD21 is scheduled for completion in 2028. Construction has begun on the first major phase of ORD21, the expansion of Terminal 5, to be substantially completed in 2021. This expansion will not only add ten gates and passenger amenities, but will also convert Terminal 5 into a mixed domestic/international terminal in preparation for Delta's relocation and the construction of the OGT. Further improvements scheduled for Terminal 5 in 2022 include O'Hare's first baggage ID system. A separate "stinger" extension of Concourse L in Terminal 3, with five new American regional gates, opened to service in May, 2018. After an international design competition that featured public voting on five finalists, Chicago's Mayor Emanuel announced in March, 2019 that the Studio ORD group, led by architect Jeanne Gang, had been selected to design the OGT. The architecture team to design the satellites, the second-place team in the competition, has not yet been publicly identified. With the exception of flights from airports with U.S. Customs and Border Protection preclearance, all inbound international flights arrive at Terminal 5, as the other terminals do not have customs screening facilities. Several alliance partners, such as ANA, Iberia, Japan Airlines, and Lufthansa, have outbound international flights departing from Terminals 1 and 3. This requires that the aircraft arrive and discharge passengers at Terminal 5, after which the empty plane is towed to another terminal for boarding. This is to expedite connections for passengers transferring from domestic flights to those outbound international flights; while Terminals 1, 2, and 3 all allow airside connections, Terminal 5 is separated from the other terminals by a set of taxiways that cross over the airport's access road, requiring passengers to exit security, ride a shuttle bus, and then re-clear security before boarding. Terminal 1, containing Concourses B & C, is home to United Airlines flights, including all mainline flights and some United Express operations, as well as some departures for Star Alliance partners Lufthansa and ANA. Concourses B and C are linear concourses located in separate buildings parallel to each other. Concourse B is adjacent to the airport roadway and houses passenger check-in, baggage claim, and security screenings on its landside and aircraft gates on its airside. Concourse C is a satellite terminal with gates on all sides, in the middle of the ramp, and is connected to Concourse B via an underground pedestrian tunnel under the ramp. The tunnel originates between gates B8 and B9 in Concourse B, and ends on Concourse C between gates C17 and C19. The tunnel is illuminated with a neon installation titled Sky's the Limit (1987) by Canadian artist Michael Hayden, which plays an airy and very slow-tempo version of Rhapsody in Blue. United operates three United Clubs in Terminal 1. For premium international passengers, United operates a Polaris Lounge and a United Arrivals Suite. Terminal 2, containing Concourses E & F, houses Air Canada, Alaska, Delta and Delta Connection domestic flights, and most United Express operations (although check-ins take place in Terminal 1). The terminal contains a United Club and a Delta Sky Club. Terminal 3, containing Concourses G, H, K & L, houses all departing and domestic arriving American and American Eagle flights, as well as departures for Oneworld carriers Iberia and Japan Airlines and unaffiliated carriers. Concourses G and L house most American Eagle operated flights, while Concourses H and K house American's mainline operations. American's Oneworld partners Japan Airlines and Iberia depart from K19 or K16. Concourse L is also used by non-affiliated airlines Air Choice One, Cape Air, JetBlue, and Spirit. Alaska Airlines relocated to Terminal 2 on March 14, 2019. American has three Admirals Clubs in Terminal 3 and one Flagship Lounge. Terminal 5, containing Concourse M, houses all of O'Hare's international arrivals (excluding flights with Air Canada, American and United from airports with U.S. border preclearance). Other destinations with preclearance, including flights operated by Aer Lingus and Etihad Airways, arrive at Terminal 5 but are treated as domestic arrivals. With the exception of select Star Alliance and Oneworld flights that board from Terminal 1 or Terminal 3 respectively, all non-U.S. carriers except Air Canada depart from Terminal 5. The first effects of ORD21 can be seen by developments at Terminal 5. In 2018, Frontier Airlines became the first domestic carrier to move operations to T5, and the expansion of Terminal 5 began in March 2019 at the eastern end of the M concourse. It is not expected to interfere with passenger operations. Several airlines have lounges in Terminal 5, including Air France - KLM, British Airways, Korean Air, SAS, and SWISS; there is also a multi-carrier Swissport Lounge. The airport's U.S. Customs and Border Protection facility is located on the arrival (lower) level. O'Hare features two sets of parallel runways, one on either side of the terminal complex. The north airfield has two parallel east-west runways (9L/27R and 9R/27L), with forthcoming 9C/27C scheduled for completion in 2020. The south airfield, where the O'Hare Modernization Program (OMP) is largely complete, has three parallel east-west runways (10L/28R, 10C/28C, and 10R/28L). In addition, there are two parallel crosswind runways oriented northeast/southwest (4R/22L, 4L/22R), one on each side of the airport. The north crosswind runway, 4L/22R, actually intersects 9R/27L and forthcoming 9C/27C, limiting its use; however, runway 22L is often used for takeoffs during "west flow" on the main runways. Each side of the airfield has its own ground control tower. Original runway 18/36 closed in 2003, and runway 14L/32R closed in 2015. The last of the runways to close under the OMP, originally 14R/32L, was decommissioned on March 29, 2018, and the FAA Airport Diagram now designates the remaining sections as taxiway SS. It had been the first new runway added by the city to the old Douglas Field layout and was lengthened and rebuilt with concrete in 1960 to became O'Hare's first intercontinental jet runway. O'Hare has a voluntary nighttime (22:00–07:00) noise abatement program. Currently, passengers are shuttled between the terminal core (Terminals 1 - 3), Terminal 5, and the remote lots and new Multi-Modal Facility (MMF) via free shuttle buses; buses board on the lower level of each terminal and run every 5–10 minutes, 24 hours a day. The Bus Shuttle center, located on the main floor of the parking garage opposite terminals 1-3, provides a temporary boarding location for local hotel shuttles and regional public transport buses. Normally, such transfers would be made using the 2.5 mi (4 km)-long automated Airport Transit System (ATS), which connects all four terminals landside and the rental and remote parking lots. However, the ATS is undergoing a $310 million modernization and expansion that includes replacing the existing 15-car fleet with 36 new Bombardier vehicles, upgrading the previous infrastructure, and extending the line 2,000 feet (610 m) to the MMF. As of January 8, 2019, the ATS was removed from service to allow for completion and testing of the project. The ATS will not re-enter service until safety testing (required due to its unmanned operation) is complete in the fall of 2019. The new MMF opened in October 2018 and is the home of all on-airport car rental firms as well as some extended parking. Rental customers now proceed from the terminal to the MMF via shuttle bus. After the completion of the ATS project in late 2019, it is anticipated that all shuttle bus service to the terminals will end, eliminating some 1.3 million bus trips yearly. In addition, the O'Hare Transfer station of Metra's North Central Service is located at the northeast corner of the MMF. The CTA Blue Line's terminus is at O'Hare and provides direct service to the Dearborn Street subway in the Loop and to Forest Park. Trains depart at intervals ranging from every 4 to 30 minutes, 24 hours a day. The station is located on the lower level of the parking garage, and can be accessed directly from Terminals 1-3 via tunnel and from Terminal 5 via shuttle bus. About 23,000 parking spaces are available at O'Hare. A large multi-level garage containing short-term parking is located immediately opposite the terminal core, and there is a short-term lot immediately in front of Terminal 5. There are also several economy lots available; these are located farther away but are accessed from the terminals with free shuttle bus service. Rates at airport lots currently range from $10 to $40 a day. O'Hare is directly served by Interstate 190, which offers interchanges with Mannheim Road (U.S. 12 and 45), the Tri-State Tollway (Interstate 294), and Interstate 90. I-90 continues as the Kennedy Expressway into downtown Chicago and becomes the Jane Addams Memorial Tollway northwest to Rockford and the Wisconsin state line. The Hilton Chicago O'Hare is between the terminal core and parking garage and is currently the only hotel on airport property. It is owned by the Chicago Department of Aviation and operated under an agreement with Hilton Hotels, who extended their agreement with the city for 10 years in 2018. There are two main cargo areas at O'Hare that have warehouse, build-up/tear-down and aircraft parking facilities. The Cargo Area (now the South Cargo Area) was relocated in the 1980s from the airport's first air cargo facilities, which were located east of the terminal core, where Terminal 5 now stands. Many of the structures in the new Cargo Area then had to be rebuilt, again, to allow for the OMP and specifically runway 10R/28L; as a result, what is now called the South Cargo Area is located between 10R/28L and 10C/28C. These facilities were established mainly by traditional airline-based air cargo; Air France Cargo, American, JAL Cargo, KLM, Lufthansa Cargo, Northwest and United all built purpose-built, freestanding cargo facilities, although some of them are now leased out to dedicated cargo firms. In addition, the area contains two separate facilities for shipper FedEx and one for UPS. The Northeast Cargo Area (NEC) is a conversion of the former military base (the Douglas plant area) at the northeast corner of the airport property. It is a new facility designed to increase O'Hare's cargo capacity by 50%. Two buildings currently make up the NEC: a 540,000 square feet (50,000 m2) building completed in 2016, and a 240,000 square feet (22,000 m2) building that was completed in 2017. A third structure, scheduled for completion in 2019, will complete the NEC with another 150,000 square feet (14,000 m2) of warehouse space. The current capability of the cargo areas provide 2,000,000 square feet (190,000 m2) of airside cargo space, on four ramps, with parking for 40 wide-body freighters, matched with over 2,000,000 square feet (190,000 m2) of landside warehousing capability. O'Hare shipped over 1.9 million tonnes of cargo in 2017, third among major airports in the U.S. The USO offers two facilities: one open 24 hours and located before security in Terminal 2, and an additional site behind security in Terminal 3, open 06:00-22:30 daily. Each offers meals, refreshments, TV and quiet rooms, and internet access. Active duty military personnel and their families, as well as new recruits going to Recruit Training Command, are welcome. The large Postal Service processing facility at O'Hare is located at the far south end of the airfield along Irving Park Road. Being on secured airfield property, it is not open to the public. USPS drop locations are provided in Terminals 1, 3 and 5. ^1 : Ethiopian Airlines' flight from Addis Ababa to O'Hare stops at Dublin, but the flight from O'Hare to Addis Ababa is nonstop. In 2011, O'Hare became the first major airport to build an apiary on its property; every summer, it hosts as many as 75 hives and a million bees. The bees are maintained by 30 to 40 ex-offenders with little to no work experience and few marketable skills from the North Lawndale community. They are taught beekeeping but also benefit from the bees' labor, turning it into bottled fresh honey, soaps, lip balms, candles and moisturizers marketed under the beelove product line; products are sold at stores and used by restaurants throughout both Chicago airports. More than 500 persons have completed the program, transferring to jobs in manufacturing, food processing, customer service, and hospitality; the repeat-offender rate is reported to be less than 10%. O'Hare has used livestock, primarily goats, since 2013 to control vegetation in harder-to-reach areas or on steeper banks as along Willow-Higgins Creek on the airport property. In the summer of 2018, a mix of 30 goats, sheep, and a donkey named Jackson controlled buckthorn, garlic mustard, ragweed and various other invasive species. The livestock assist not only with vegetation removal and control, but also reduce hiding and nesting places for birds that may interfere with safe aircraft operations, and all without food expense or environmental damage. The following is a list of crashes or incidents that happened to planes at O'Hare, on approach, or just after takeoff from the airport. On September 17, 1961, Northwest Orient Airlines Flight 706, a Lockheed L-188 Electra, had a mechanical failure in control surfaces and crashed upon takeoff, killing all 37 on board. On August 16, 1965, United Airlines Flight 389, a Boeing 727, crashed 30 miles (48 km) east of O'Hare while on approach, killing all 30 on board. On March 21, 1968, United Airlines Flight 9963, a Boeing 727, overran runway 9R (now 10L) on take off. All 3 crew on board were injured, and the aircraft was damaged beyond repair. On December 27, 1968, North Central Airlines Flight 458, a Convair CV-580, crashed into a hangar at O'Hare, killing 27 on board and one on the ground. On December 20, 1972, North Central Airlines Flight 575, a Douglas DC-9, crashed upon takeoff after colliding with Delta Airlines Flight 954, a Convair CV-880 which was taxiing across the active runway; 10 passengers on the DC-9 were killed. On May 25, 1979, American Airlines Flight 191, a McDonnell Douglas DC-10 on a Memorial Day weekend flight to Los Angeles International Airport, had its left engine detach while taking off from runway 32R, then stalled and crashed into a field some 4,600 feet (1,400 m) feet away. 273 died in the deadliest single-aircraft crash in United States history, and the worst aviation disaster in U.S. history prior to the September 11, 2001 attacks. On March 19, 1982, a United States Air Force KC-135 Stratotanker crashed upon approach to O'Hare 40 miles (64 km) northwest of the city (near Woodstock, Illinois), killing 27 people on board. On February 9, 1998, American Airlines Flight 1340, a Boeing 727, crashed upon landing from Kansas City, injuring 22 passengers. On October 28, 2016, American Airlines Flight 383 aborted takeoff after a fire in the right engine of the Boeing 767; 20 passengers and one flight attendant were injured. ^ "Chicago O'Hare International Airport". AirNav, LLC. Retrieved 2016-10-28. ^ a b Harden, Mark (September 30, 2014). "Frontier Airlines making Chicago's O'Hare a focus". Chicago Business Journal. Retrieved September 30, 2014. ^ a b Bhaskara, Vinay (October 1, 2014). "Spirit Airlines Adds Two New Routes at Chicago O'Hare". Airways News. Archived from the original on October 3, 2014. Retrieved October 1, 2014. ^ a b FAA Airport Master Record for ORD (Form 5010 PDF), effective March 15, 2007. ^ "Mayor Emanuel Announces Record-Breaking Year for Passengers and Air Cargo at Chicago Airports". flychicago.com. Chicago Department of Transportation. Retrieved 5 April 2018. ^ "About the CDA". flychicago.com. City of Chicago Department of Aviation. Retrieved 3 May 2018. ^ "Non-stop Service". flychicago.com. Chicago Department of Aviation. Retrieved 26 March 2019. ^ Associated Press. "O'Hare to offer 1st direct Chicago-to-Africa flights". chicagotribune.com. tronc. Retrieved 1 April 2018. ^ a b c d e f g Petchmo, Ian. "The Fascinating History Chicago's O'Hare International Airport: 1920-1960". airwaysmag.com. Airways International Inc. Retrieved 7 April 2018. ^ a b "62 Fighter Squadron (AETC)". Air Force Historical Research Agency. United States Air Force. Retrieved 11 May 2018. ^ Burley, Paul. "Ralph H. Burke: Early Innovator of Chicago O'Hare International Airport". www.library.northwestern.edu. Northwestern University. Retrieved 10 May 2018. ^ "Preliminary world airport traffic rankings released". aci.aero. ACI World. Retrieved 25 March 2019. ^ "The fleet and hubs of United Airlines, by the numbers". ^ "Chicago, IL: O'Hare (ORD)". Bureau of Transportation Statistics. U.S. Department of Transportation. Retrieved September 1, 2015. ^ a b Petchmo, Ian. "The Fascinating History Chicago's O'Hare International Airport: 2000 to Present". www.airwaysmag.com. Airways International, Inc. Retrieved 10 May 2018. ^ a b Spielman, Fran. "City Council approves $8.5 billion O'Hare expansion plan by 40-to-1 vote". chicago.suntimes.com. Chicago Sun-Times. Retrieved 1 April 2018. ^ "The Early Years: Major Commands" (PDF). Air Force Association. Air Force Association. Retrieved 31 August 2018. ^ "Messerschmitt Me 262 A-1a Schwalbe (Swallow)". Smithsonian: National Air & Space Museum. Smithsonian Institution. Retrieved 24 May 2018. ^ "Junkers Ju 388 L-1". Smithsonian: National Air & Space Museum. Smithsonian Institutuion. Retrieved 24 May 2018. ^ a b "The Wacky Logic Behind Airport Codes". ABC.com. Retrieved 7 August 2017. ^ "ABSTRACT". airforcehistoryindex.org. US Air Force. ^ "1,000 Bid Farewell To O'hare's Air Force Reserve Base". chicagotribune.com. tronc. Retrieved 1 April 2018. ^ "Briefings... (pg. 58)". Flying Magazine (Vol, 62, No. 6). Ziff-Davis Publishing Co. Google. June 1, 1958. Retrieved 13 August 2018. ^ "YESTERDAY'S CITY – Part III". polishnews.com. MH Magazine. Retrieved 7 April 2018. ^ a b "O'Hare History". Fly Chicago. Chicago Department of Aviation. Archived from the original on September 24, 2015. Retrieved September 1, 2015. ^ "Airports for the Jet Age: The U.S. Is Far from Ready". Time Magazine. October 21, 1957. Retrieved July 15, 2012. ^ "Break Ground at O'Hare for Terminal Unit". Chicago Daily Tribune. April 2, 1959. Retrieved July 2, 2012. ^ "TWA Routes". Airways News. January 1, 1987. Retrieved July 15, 2012. ^ "THE AIRLINE BATTLE AT O'HARE". nytimes.com. The New York Times Company. Retrieved 1 April 2018. 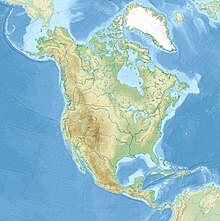 ^ "North America Nonstop Routes". Airways News. 1994. Retrieved July 15, 2012. ^ a b Petchmo, Ian. "The Fascinating History Chicago's O'Hare International Airport: 1960-2000". airwaysmag.com. Airways International, Inc. Retrieved 7 April 2018. ^ Washburn, Gary (August 4, 1987). "United's Flashy Terminal Ready For Takeoff". Chicago Tribune. Retrieved July 2, 2012. ^ a b McGovern-Petersen, Laurie (2004). "Chicago O'Hare International Airport". In Sinkevitch, Alice (ed.). AIA Guide to Chicago (2nd ed.). Orlando, Florida: Harcourt. p. 278. ISBN 0-15-602908-1. Retrieved February 8, 2013. ^ "Chicago, IL: Chicago O'Hare International (ORD)". Bureau of Transportation Statistics. Retrieved November 3, 2010. ^ Hilkevitch, Jon. "Regional jets jam O'Hare". chicagotribune.com. Chicago Tribune. Retrieved 31 March 2018. ^ "Lessons Learned From the Chicago O'Hare Modernization Program" (PDF). enotrans.com. Eno Center for Transportation. Retrieved 6 April 2018. ^ "Runway realignment at O'Hare (map)". chicagotribune.com. Chicago Tribune. ^ "Map of new runway opened at O'Hare airport". Chicago Tribune. Retrieved 2018-03-16. ^ "FUELING CHICAGO'S ECONOMIC ENGINE: INVESTING IN O'HARE BRINGS BENEFITS TO THE REGION" (PDF). www2.deloitte.com. City of Chicago Department of Aviation. Retrieved 1 April 2018. ^ "O'Hare's Ranking for On-Time Flights Has Dramatically Improved". flychicago.com. Chicago Department of Aviation. Retrieved 5 April 2018. ^ "Ranking of Major Airport On-Time Arrival Performance in December 2017". BTS.gov. Bureau of Transportation Statistics. Retrieved 4 April 2018. ^ "O'Hare Modernization Update" (PDF). theconf.com. Chicago Department of Aviation. Retrieved 2 April 2018. ^ Byrne, Ruthhart, John, Bill. "$4 billion bond approval earns Emanuel key victory as council green lights O'Hare overhaul". chicagotribune.com. tronc. Retrieved 1 April 2018. ^ "Mayor Emanuel and Airlines Sign Historic $8.5 Billion Agreement to Transform Chicago O'Hare International Airport". cityofchicago.org. City of Chicago. Retrieved 1 April 2018. ^ "Here's What's Happening". flychicago.com. Chicago Department of Aviation. Retrieved 21 March 2019. ^ Genter, JT. "9 Things To Know About American Airlines' New Gates at Chicago O'Hare". thepointsguy.com. The Points Guy, LLC. Retrieved 1 April 2018. ^ "City of Chicago Announces Selection of Studio ORD to Lead Historic O'Hare Expansion". flychicago.com. Chicago Department of Aviation. Retrieved 27 March 2019. ^ "Studio Gang to design Chicago O'Hare airport terminal". dezeen.com. Retrieved 6 April 2019. ^ "Facility Data". flychicago.com. Chicago Department of Aviation. Retrieved 28 December 2018. ^ "United Club & Airport Lounge Locations | United Airlines". www.united.com. Retrieved February 11, 2018. ^ "9K1525 Cape Air flight - Today - Chicago O'Hare Airport (ORD)". Airport-ohare.com. Retrieved 2018-11-17. ^ "Chicago O'Hare International Airport (ORD) Admirals Club locations". Retrieved February 15, 2017. ^ "Frontier Airlines Moves to Terminal 5 at O'Hare International Airport". flychicago.com. Chicago Department of Aviation. Retrieved 4 June 2018. ^ "Here's What's Happening". flychicago.com. Chicago Department of Avaition. Retrieved 21 March 2019. ^ "O'Hare Modernization Final Environmental Impact Statement, Appendix F, Table F-39" (PDF). faa.gov. Federal Aviation Administration. Retrieved 5 April 2018. ^ von Wedelstaedt, Konstantin. "Aerial photo of O'Hare Airport August 8, 2018". Airliners.net. © Konstantin von Wedelstaedt. Retrieved 31 August 2018. ^ "KORD Airport Diagram effective March 29 - April 20" (PDF). Archived from the original (PDF) on 2018-03-30. Retrieved 30 March 2018. ^ "Fly Quiet Program". flychicago.com. City of Chicago Department of Aviation. Retrieved 1 April 2018. ^ "Multi-Modal Facility". flychicago.com. Chicago Department of Aviation. Retrieved 9 March 2019. ^ "Bombardier to Supply INNOVIA Automated People Mover System to Chicago O'Hare International Airport". bombardier.com. Bombardier Transportation. Retrieved 1 April 2018. ^ "Transportation Between Terminals (ATS & TTB)". flychicago.com. Chicago Department of Aviation. Retrieved 25 December 2018. ^ "Multi-Modal Facility". flychicago.com. Chicago Department of Aviation. Retrieved 20 November 2018. ^ "Blue Line Trains" (PDF). transitchicago.com. Chicago Transit Authority. Retrieved 20 November 2018. ^ "Parking". flychicago.com. Chicago Department of Aviation. Retrieved 20 November 2018. ^ Hinz, Greg. "City inks new deal with Hilton to run upgraded O'Hare hotel". chicagobusiness.com. Crain Communications, Inc. Retrieved 10 April 2019. ^ a b "Chicago O'Hare International Airport: Advanced Airfield Familiarization Manual" (PDF). flychicago.com. Chicago Department of Aviation. Retrieved 2 April 2018. ^ Desormeaux, Hailey (2016-12-22). "O'Hare opens new cargo center | News". American Shipper. Retrieved 2018-03-16. ^ DVV Media Group GmbH. "Chicago opens second phase of cargo expansion ǀ Air Cargo News". Aircargonews.net. Retrieved 2018-03-16. ^ Burns, Justin. "Chicago O'Hare opens second phase of new cargo facility". aircargoweek.com. Azura International. Retrieved 2 April 2018. ^ "Cargo". flychicago.com. Chicago Department of Aviation. Retrieved 2 April 2018. ^ "USO". flychicago.com. Chicago Department of Aviation. Retrieved 7 August 2018. ^ "Air Choice One Destinations". Retrieved 17 March 2018. ^ "Air India Chicago". Air India. ^ "Flight schedules - Air New Zealand". Retrieved 27 March 2018. ^ "Flight Timetable". Retrieved 17 March 2018. ^ "FLIGHT SCHEDULE AND OPERATIONS". Retrieved 17 March 2018. ^ "Timetables [International Routes]". Retrieved 17 March 2018. ^ "Newsroom - American Airlines Expands European Footprintand Modifies Asia Service - American Airlines Group, Inc". News.aa.com. 2018-08-21. Retrieved 2018-11-17. ^ a b "Flight schedules and notifications". Retrieved 17 March 2018. ^ "American Airlines to Offer Service from Erie to Charlotte and Chicago, Discontinue Flights to Philadelphia - Erie News Now | WICU and WSEE in Erie, PA". Erie News Now. 2018-10-31. Retrieved 2018-11-17. ^ "American to add seasonal Chicago O'Hare – Quebec City service". World Airline News. November 19, 2018. ^ a b "Avianca Drops Boston and Chicago in network cuts". Retrieved 30 March 2019. ^ a b ""Avianca Holdings cancela 10 rutas internacionales y una nacional"". Retrieved March 23, 2019. ^ "Bahamasair". Retrieved 17 March 2018. ^ "Flight Status". Retrieved 17 March 2018. ^ "Cayman Airways Flight Schedule". Retrieved 17 March 2018. ^ a b "FLIGHT SCHEDULES". Retrieved 17 March 2018. ^ "Delta adds more key markets for Boston customers: Chicago, Cleveland, Newark and Washington, D.C. | Delta News Hub". News.delta.com. 2018-12-06. Retrieved 2018-12-10. ^ "Schedule - Fly Ethiopian". Retrieved 17 March 2018. ^ "Finnair flight timetable". Retrieved 17 March 2018. ^ "Frontier Airlines adds Branson service from May 2019". Routes Onle. January 2019. Retrieved January 19, 2019. ^ "Flight times - Iberia". Retrieved 17 March 2018. ^ "Japan Airlines Timetables". Retrieved 17 March 2018. ^ "JetBlue Airlines Timetable". Retrieved 17 March 2018. ^ "Norwegian Air Shuttle Destinations". Retrieved March 17, 2018. ^ "Route Map". Royal Jordanian Airlines. Retrieved 5 April 2017. ^ "Where We Fly". Spirit Airlines. Retrieved 17 March 2018. ^ "Route Map & Flight Schedule". Retrieved 17 March 2018. ^ "Timetable". Retrieved 17 March 2018. ^ "TAP Air Portugal coming to O'Hare in June, with first direct flight to Lisbon". Chicago Tribune. Retrieved 29 November 2018. ^ "Flight Schedule". TAP Air Portugal. Retrieved 29 November 2018. ^ a b "Timetable". Retrieved March 17, 2018. ^ "United further expands North America markets in S19". RoutesOnline. December 25, 2018. Retrieved December 25, 2018. ^ a b "Volaris schedules new US routes in 2019". Routes Online. March 2019. Retrieved March 18, 2019. ^ "Volaris Flight Schedule". Retrieved 17 March 2018. ^ "Our Network". Retrieved 12 September 2017. ^ "China Southern Cargo Schedule". Archived from the original on January 19, 2014. Retrieved March 28, 2013. ^ "SkyCargo Route Map". Emirates SkyCargo. Retrieved May 9, 2013. ^ "City of Chicago Welcomes LATAM Cargo to O'Hare International Airport". flychicago.com. Chicago Department of Aviation. Retrieved 26 February 2019. ^ Malinowski, Łukasz (February 14, 2012). "Cargo Jet i PLL LOT Cargo uruchomiły trasę z Pyrzowic do Chicago" [Jet Cargo and LOT Polish Airlines Cargo Has Launched a Route from Katowice to Chicago] (Press release) (in Polish). Katowice International Airport. Retrieved July 15, 2012. ^ "The customized AeroLogic network". Aero Logic. Retrieved August 13, 2013. ^ "Edmonton adds to cargo load with a regular flight to Tokyo - Edmonton". Globalnews.ca. 2017-08-14. Retrieved 2018-03-16. ^ Quantas Freight International Network Map (PDF) (Map). Quanta Freight. Archived from the original (PDF) on September 24, 2015. Retrieved September 1, 2015. ^ "Qantas flight QF 7552 schedule". Info.flightmapper.net. April 27, 2016. Retrieved 2016-04-27. ^ "Qantas Freight Launches Chongqing Route". Air Cargo World. April 19, 2012. Retrieved July 15, 2012. ^ "Qantas Freighter Network Northern Summer Schedule 2010" (PDF). Qantas Freight. June 2010. Archived from the original (PDF) on December 30, 2010. Retrieved July 15, 2012. ^ "Qatar Airways to Begin Chicago Freighter Service". AMEinfo. August 2, 2010. Archived from the original on August 3, 2010. Retrieved November 3, 2010. ^ "Qatar Airways to begin Chicago freighter service". Air Cargo News. August 10, 2010. Retrieved September 1, 2015. ^ "Qatar Airways to Start Milan-Chicago Freighter Service". The Journal of Commerce. June 6, 2013. Retrieved June 29, 2013. ^ "Silk Way Launches Direct Flights to Chicago". September 23, 2016. Archived from the original on October 1, 2016. Retrieved October 2, 2016. ^ "Singapore Airlines Cargo". Singapore Airlines Cargo. September 2015. Archived from the original on May 17, 2013. Retrieved June 10, 2013. ^ "Turkish freighter goes to Chicago". Air Cargo News. April 7, 2015. Retrieved April 12, 2015. ^ "Turkish Airlines Cargo added new destinations from 2018". Routesonline.com. Retrieved 2018-03-16. ^ "Chicago, IL: O'Hare (ORD)". Bureau of Transportation Statistics. U.S. Department of Transportation. Retrieved January 31, 2019. ^ "RITA | BTS | Transtats". Transtats.bts.gov. Retrieved 16 April 2019. ^ "Air Traffic Data". www.flychicago.com. Retrieved April 15, 2018. ^ Baskas, Harriet. "Bee colonies take flight once more, with some help from airport apiaries". cnbc,com. CNBC, LLC. Retrieved 2 April 2018. ^ "Apiary: The First Major On-Airport Apiary in the U.S." flychicago.com. Chicago Department of Aviation. Retrieved 2 April 2018. ^ "Chicago Department of Aviation Welcomes the Grazing Herd Back to O'Hare". flychicago.com. Chicago Department of Aviation. Retrieved 1 September 2018. ^ "Grazing Herd". flychicago.com. Chicago Department of Aviation. Retrieved 1 April 2018. ^ "Chicago–O'Hare International Airport, IL profile". Aviation Safety Network. July 13, 2008. Retrieved November 3, 2010. ^ "ASN Aircraft accident Lockheed L-188C Electra N137US Chicago–O'Hare International Airport, IL (ORD)". Aviation Safety Network. Retrieved July 15, 2012. ^ "ASN Aircraft accident Boeing 727–22 N7036U Lake Michigan, MI". Aviation Safety Network. Retrieved July 15, 2012. ^ "ASN Aircraft Accident Boeing 727–22 Chicago–O'Hare International Airport". Aviation Safety Network. Retrieved July 15, 2012. ^ "ASN Aircraft accident Convair CV-580 N2045 Chicago–O'Hare International Airport, IL (ORD)". Aviation Safety Network. Retrieved November 3, 2010. ^ "ASN Aircraft accident McDonnell Douglas DC-9-31 N954N Chicago–O'Hare International Airport, IL (ORD)". Aviation Safety Network. December 20, 1972. Retrieved November 3, 2010. ^ "ASN Aircraft accident McDonnell Douglas DC-10-10 N110AA Chicago – O'Hare International Airport, IL (ORD)". Aviation Safety Network. Retrieved November 3, 2010. ^ Franklin, Cory (May 24, 2015). "Commentary: American Airlines Flight 191 still haunts". Chicago Tribune. Retrieved September 1, 2015. ^ "ASN Aircraft accident Boeing KC-135A-BN Stratotanker 58-0031 Greenwood, IL". Aviation Safety Network. Retrieved November 3, 2010. ^ "ASN Aircraft accident Boeing 727 N845AA Chicago–O'Hare International Airport, IL (ORD)". Aviation Safety Network. Retrieved November 3, 2010. ^ "Uncontained Engine Failure and Subsequent Fire American Airlines Flight 383 Boeing 767-323, N345AN" (PDF). ntsb.gov. National Transportation Safety Board. Retrieved 4 April 2018. Olson, William (January 4, 2010). "Sustainable Airport Design Takes Flight: The O'Hare Modernization Program". GreenBeanChicago.com. Pate, R. Hewitt (Assistant Attorney General, Antitrust Division); McDonald, Bruce (Deputy Assistant Attorney General, Antitrust Division); Gillespie, William H. (Economist) (May 24, 2005). "Congestion And Delay Reduction at Chicago O'Hare International Airport: Docket No. FAA-2005-20704". Comments of The United States Department of Justice. Before The Federal Aviation Administration Department of Transportation. Retrieved September 2, 2011.